Obituary – Boyd, Joan (King) « Perry High School Alumni Association, Inc.
﻿Red Hots, ’43-’46; Pres. 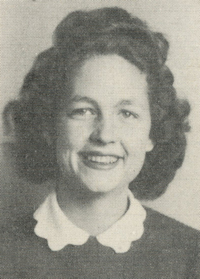 of Red Hots, ’45-’46; Annual Queen Candidate, ’45-’46; Jr. Play, ’44; Student Council, ’44-’45; Perryscope Staff, ’45-’46; Office Staff, ’43-’45; Sec. of Home Room, ’45-’46. 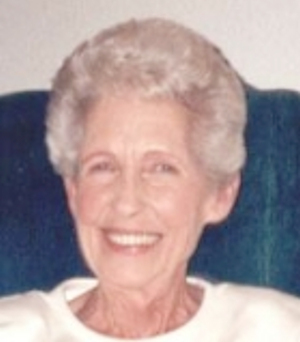 Joan Boyd, age 75, of New Braunfels, Texas, went home to be with the Lord on February 27, 2004. She was born on January 22, 1929 in Ada, OK to George and Thelma East King. Her parents and her husband, Leonard E. Boyd, preceded her in death. She is survived by her brother, Leo King of Paris, AR; son, Gary Boyd and wife Amy of Garden Ridge, TX; daughter, Christy Sagemuehl and husband Richard of Lake Hills, TX; grandchildren, Cecily Sagemuehl, Jacob Sagemuehl, Kate Boyd and Reed Boyd. Visitation will be held on Monday, March 1, 2004 from 6:00 – 8:00 P.M. at the Zoeller Funeral Home in New Braunfels. Services will be held Tuesday, March 2, 2004 at 10:00 A.M. at the Zoeller Funeral Home with interment to follow in the Holy Cross Cemetery. Memorials may be given to Vitas Hospice Care, 8109 Fredericksburg Rd., San Antonio, TX 78229. Zoeller Funeral Home.